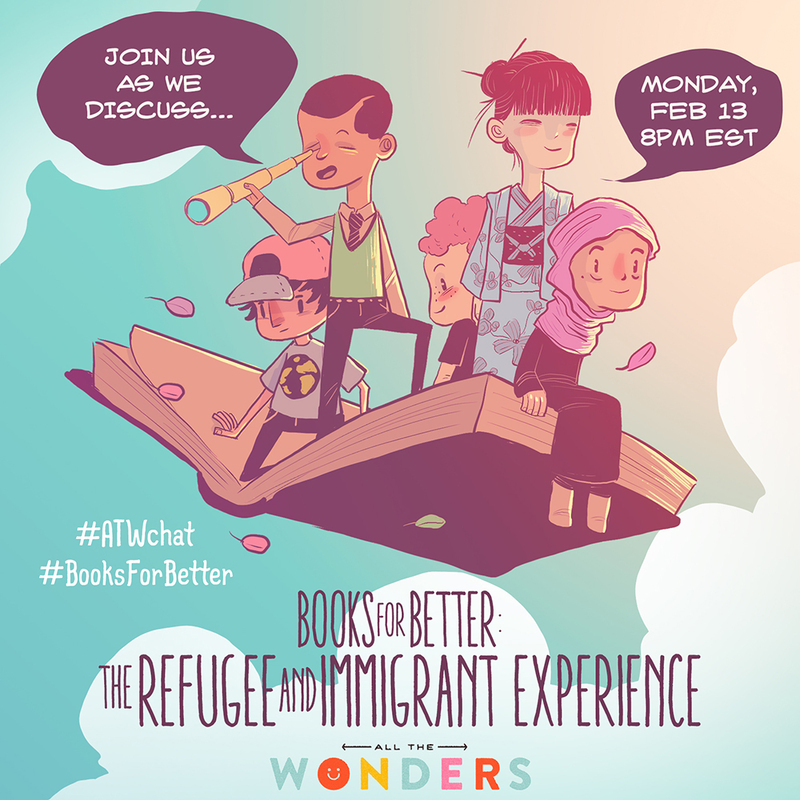 All The Wonders held its monthly Books For Better Twitter chat on Monday, February 13th to discuss “Books for Better: The Refugee and Immigrant Experience“. We began this initiative to shine a light on stories conveying the human potential for goodness and to promote messages of empathy, inclusiveness and compassion. *Image designed by Rubin Pingk. Archives of the recent #BooksForBetter Instragram campaign activity as well as the February #ATWchat are available below.